When Hizbollah – the Lebanese “Party of God” – threw its fighters into Syria in 2013, it sought primarily to save itself. Had the Assad regime collapsed or been defeated by U.S.-backed regional powers, it could have faced a hostile Sunni successor in Damascus and lost its essential arms channel from Iran. Today, its core objective of preserving the regime has been met, but there is no end in sight to the war. If Iran and Hizbollah continue to provide unconditional military support to the regime without a realistic exit strategy, they will be dragged deeper into what can only become a quagmire, even as their armed strength grows in the wider region. At the same time, they will have to contend with a potentially more hostile U.S. administration that has said it wants to push back Iranian influence even as it also pursues a more aggressive approach against the Islamic State (IS), an enemy it has in common with Hizbollah and Iran. Avoiding being sucked into a quagmire requires negotiating a settlement that has buy-in from key countries that back the opposition, as well as (with Russia) imposing the requisite compromises on Damascus. This report proposes preliminary steps Iran and Hizbollah could take in that direction, including recognising non-jihadist rebels; initiating talks with them on whatever common ground they can find; lowering sectarian rhetoric; and refraining from new offensives against opposition-held areas so as to preserve a non-jihadist foe capable of enforcing a deal, if and when one is reached. SAN FRANCISCO — It was just before midnight on Dec. 17, 2016, when most of the Ukrainian capital, Kiev, went dark. A transmission station, a type of power station that transmits high voltage electricity across large areas, had gone down. Vsevolod Kovalchuk, the head of Ukrainian state power grid operator Ukrenergo, explained on his Facebook page that the station had come under an “external attack” lasting roughly 30 minutes. It was, cybersecurity experts said, the most recent maneuver in Russia’s increasingly aggressive and overt efforts to push the boundaries of modern-day warfare using everything from old-fashioned kompromat, the Russian term for publishing (real or fake) compromising material designed to smear opponents, to malware that blacks out cities. If the world is currently entering a new era of cyberwarfare, Russian hackers are the pirates of those yet-uncharted seas. Nearly every week brings a new cyberattack, as Russia tests the vulnerabilities of countries around the world. From hacking into the emails of senior members of the Democratic Party to defacing the websites of Eastern European political candidates, Russia is being named as the perpetrator of the most audacious cyberattacks in recent years. In some cases, those attacks are acts of espionage, looking to sweep up as much intelligence as possible. In others, Russia is toying with psychological operations, teasing out their geopolitical goals. Just this week, the Department of Justice (DOJ) announced that a 2014 breach of Yahoo, which exposed more than 500 million email accounts, had actually been the work of Russian Federal Security Service (FSB) agents working with cybercriminals — one of the largest email breaches in history, targeting, the DOJ said, the email accounts of a small group of journalists, dissidents, and US government officials. Editor’s Note: In light of Lt. Gen. H.R. McMaster’s appointment as President Donald Trump’s National Security Advisor, we are publishing the following case study written by FPRI Senior Fellow Mac Owens, who wrote it for his class “Leadership 11-2” in the National Security Affairs Department at the United States Naval War College in May 2009. By the time Col. H.R. McMaster led elements of his 3rd Armored Cavalry Regiment (3rd ACR) into northern Iraq’s Nineveh (Ninewa) Province in May of 2005, he had already established a reputation within the Army as a highly-respected and innovative officer. During the 1991 Gulf War, Captain McMaster had commanded Eagle Troop of the 2nd ACR and during the 1991 engagement known as the Battle of 73 Easting, his cavalry troop overran and destroyed a numerically superior Iraqi Republican Guard force, taking no casualties. For this action, he was awarded the Silver Star. He later earned a Ph.D. in history from the University of North Carolina at Chapel Hill and taught history at the US Military Academy. He commanded 1st Squadron, 4th Cavalry Regiment from 1999 until 2002 and in the spring of 2003, McMaster joined the staff of General John Abizaid at Central Command. He assumed command of 3rd ACR in June of 2004, leading the unit from Fort Carson, Colorado to Iraq in January 2005 for its second deployment. WASHINGTON: Pouring hundreds of billions into pay and benefits has not and cannot solve the military’s personnel problems. Despite spending 50 percent more per servicemember since 9/11, the services are short everything from cyber specialists to pilots, medics, nuclear engineers, and Arabic speakers. Spending more and more isn’t just unsustainable: It’s ineffective. Instead, argues a new study from the Bipartisan Policy Center, the armed forces can enjoy both higher morale and greater skills, without spending more money — if they stop the profoundly counterproductive personnel bureaucracy from actively turning away talent, kicking it out, or making its life sufficiently miserable that it quits. “We didn’t start from the proposition of, how do we save money,” added retired Sen. Jim Talent, one of Panetta’s co-chairs, “(but) all of us believe that (reform) is going to make personnel much more affordable in the longer run. Why? Because at the same time it spends heavily to attract and retain talent, the military invests a great deal of effort in squandering it. Summary: The current Russian regime is not static in terms of ideology. It was able to activate intense nationalist sentiment during the Ukraine crisis and calm it down later, without undermining Putin’s personal legitimacy and popular support. At a time of economic stagnation, the Russian state is in need of social consensus and popular support behind the figure of President Vladimir Putin. After feeding an anti-Western atmosphere during the first year of the Ukraine crisis, the regime deliberately decreased its nationalist rhetoric, sidelined some of the nationalist actors who had become too prominent and not reliable enough, retired some of Putin’s old friends, and brought some more liberal figures back to the political game. The Kremlin continues to advance a diverse ideological repertoire, combining several isms and historical narratives that seem contradictory, all under a broad and blurry rubric of conservative values. While the presidential administration has been able to successfully manage this doctrinal diversity, it remains a difficult balancing act in some respects, especially on the issues of more or less Russian nationalism and mobilization potential for or against the political status quo. If America doesn’t maintain aid to India, China is ready to step in. The following month, India issued a letter of request regarding the price and availability of the Guardian—the unarmed variant of the MQ-9 aerial drone. Seven months later, that prospective sale remains in limbo. Designed to provide intelligence, surveillance and reconnaissance in a maritime environment, the Guardian would greatly enhance India’s efforts to monitor its coasts, conduct search-and-rescue operations, and secure its island territories and naval assets in the Indian Ocean. China’s expansive territorial claims and island building in the South China Sea are well known, but China has also expanded its area of operations by establishing a navy base in the East African nation of Djibouti. From there, China can gain easy access to the Indian Ocean. The sale of the Guardian would not only benefit India, but could assist the United States in monitoring areas of shared interest and concern. Can China and India Warm Up to Each Other? People-to-people and cultural exchanges between the two neighbors remain shockingly low. There is an Indian restaurant on the fifth floor of a shopping mall in Wudaokou, a neighborhood in northwest Beijing that has a disproportionate number of foreigners — mostly students and scholars who are affiliated with the three universities nearby, Peking University, Tsinghua University, and Beijing University of Language Studies. In March 2013, when I was craving the wonderful curry dishes I remembered from a visit to India, a friend of mine recommended this place, and I immediately took my family there for dinner. It has a name that cannot be more Indian: The Ganges. Beijing is a heaven for food connoisseurs, as it brings together the finest cuisines from all over the world. But as far as I know, that is the only Indian restaurant in the western part of Beijing. Perhaps not many Beijing residents are fond of Indian food like I am. But it could also be a sign that not many Indians — students, researchers, businessmen, or tourists — actually live in the capital city of China. But how could this be? Both China and India are the “emerging economies” of the world; along with Brazil, Russia, and South Africa, they are known as the BRICS (the acronym for the five countries). With both India and China boasting more than 1 billion people, aren’t they supposed to be important markets for each other, and as such, shouldn’t there be massive cross-border flows of people, goods, and services? This report measures the relative success of nine peace education initiatives in Pakistan. More specifically, the text grapples with six questions. 1) What types of interventions were most effective and in what contexts? 2) Were the implemented programs contextually relevant? 3) How was the quality of each initiative ensured? 4) What kinds of content and teaching formats worked best and where? 5) What differences and similarities exist between peace education programs and the curricula implemented in mainstream schools and madrassas? And 6) what lessons can those working in the peacebuilding field draw from the case studies selected here? Indonesia: 8,000 Islands in a Sea of Trouble? The Indonesian archipelago is a place of relative calm in a restive neighborhood. To its north, China and its neighbors are disputing Beijing’s man-made islands in the South China Sea, North Korea is developing nuclear weapons and ballistic missiles, and democracy is on the wane in Thailand; to the west, India and Pakistan are glowering at each other, and Afghanistan is, well, Afghanistan. Indonesia is the world’s fourth-largest country, its third-largest democracy, and its largest Muslim-majority country, so it is important that the Trump administration make an early approach to Indonesia to confirm Washington’s long-standing relationship with Jakarta and to seek new opportunities for cooperation and commerce. Indonesia’s most visible characteristic is its position astride the Strait of Malacca, which connects the Pacific Ocean to the Indian Ocean and offers the shortest sea route from China to India. The strait is the world’s busiest shipping lane, hosting more than 80,000 passages in 2016 alone. And the strait isn’t just busy: its daily traffic includes a significant amount of liquefied natural gas shipments and 15 million barrels of oil, a quarter of the world’s seaborne oil, mostly bound for China, Indonesia, and Japan. More than 40 percent of the world’s seaborne trade traverses the strait each year. South China Sea: Is China Considering Construction Work at Scarborough Shoal Again? New signs emerge that the prospect of Chinese construction at South China Sea hasn’t entirely faded since 2016. In the first half of 2016, before the July ruling by the Permanent Court of Arbitration-based tribunal, senior U.S. officials expressed concerns that China would start land reclamation activities at Scarborough Shoal, a South China Sea feature that it had illegally seized from the Philippines after a 2012 stand-off, prompting the former Philippine administration led by President Benigno Aquino III to file its case at the PCA in the first place. Despite those concerns, Chinese work never began at Scarborough Shoal. Following the ruling, then-newly inaugurated Philippine President Rodrigo Duterte embarked on a period of rapprochement with Beijing. Setting aside the hostility between Manila and Beijing that had festered over Aquino’s final years in office, Duterte visited China in late 2016, signing a range of bilateral agreements. In all this time, not only did China not escalate matters around Scarborough Shoal, but it even temporarily allowed Philippine fishermen access to waters near the shoal, allowing Duterte to claim a political coup. Duterte later declared a marine sanctuary and no-fishing zone within the Scarborough Shoal lagoon in turn. As The Diplomat‘s Shannon Tiezzi has explained, there are lots of good reasons why China decided not to proceed with any kind of reclamation work at Scarborough — particularly in the second half of 2016, when it became clear that Duterte would offer an unparalleled opportunity for Manila-Beijing rapprochement. That said, the idea of reclamation or construction work at Scarborough hasn’t fallen off the radar for China. 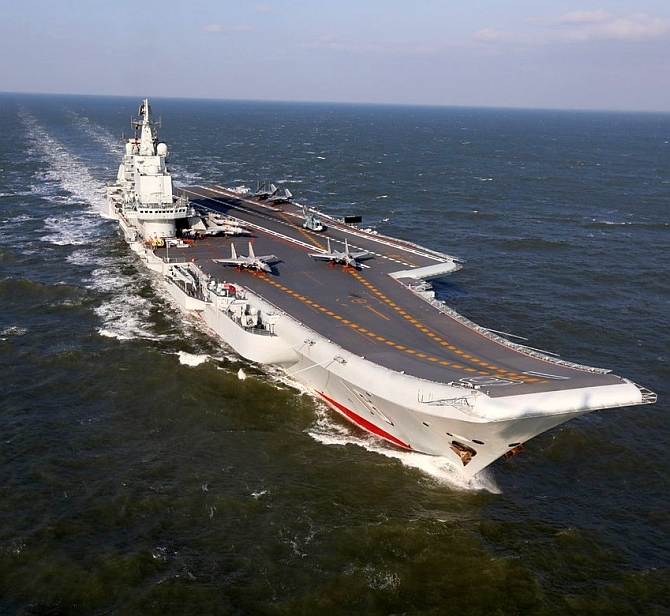 Near the picturesque city of Sanya, at the southernmost tip of Hainan Island, the Chinese People’s Liberation Army Navy is methodically preparing itself for the next phase of power projection in the South China Sea. The site in question is the Yulin Naval Base, and it is shaping up to be the most strategically important military base in the South China Sea. In fact, it may already hold the title, depending largely on the current nuclear submarine traffic flowing in and out of Yulin’s underground facility. Theater and point defense assets have been deployed, degaussing and weapons-loading facilities appear operationally ready — as do the administrative buildings, munitions transportation systems, and geological fortifications — and much of the South Sea Fleet’s submarine force has already nestled itself deep into the resident mountain. With a healthy mix of surface vessels, anti-aircraft and anti-ship missile platforms, and both conventional attack and nuclear deterrent submarines, Yulin’s strategic value is steadily rising. And with it rises China’s coercive power in the South China Sea and its surrounding waterways. Open-source intelligence tools provide an informative glimpse of Hainan Island’s busy, fortified, and increasingly vital base. All told, Yulin-East encompasses over 25 square kilometers (sq km) of military infrastructure lying within a protected, man-made harbor. As will be expanded on below, the base accommodates surface and subsurface vessels (and most of the necessary accouterments thereof), theater and point defense weapons systems, munitions transport vehicles and depots, and administrative buildings for military commanders. 'The Chinese being focussed more seawards is definitely better for India with China being the looming threat along our land borders,' says Brigadier S K Chatterji (retd). The Chinese defence budget for 2017 was presented at the 5th session of the 12th National People's Congress on March 5. It caters for an increase of 7 percent as compared to the previous year's allocation. Though apparently not a huge jump, in terms of gross allocations for defence, the total value is 1.02 trillion yuan ($135 billion). India's defence budget witnessed a 6.2 percent increase, which amounts to $52.2 billion. The Chinese are going to spend over two-and-a-half times that of our defence expenditure. The Chinese defence budget needs to be viewed in the context of China's global ambitions. Undoubtedly, under President Xi Jinping, they have undertaken the most ambitious defining of their geo-political objectives. Of primary importance to China is its dominance over the South China Sea. Politicians and military officers continue to insist the 2007 troop surge was a glorious success. It wasn’t. The other day, I found myself flipping through old photos from my time in Iraq. One in particular from October 2006 stood out. I see my 23-year-old self, along with my platoon. We’re still at Camp Buerhing in Kuwait, posing in front of our squadron logo splashed across a huge concrete barrier. It was a tradition by then, three and a half years after the invasion of neighboring Iraq, for every Army, Marine and even Air Force battalion at that camp to proudly paint its unit emblem on one of those large, ubiquitous barricades. Gazing at that photo, it’s hard for me to believe that it was taken a decade ago. Those were Iraq’s bad old days, just before General David Petraeus’s fabled “surge” campaign that has since become the stuff of legend, a defining event for American military professionals. The term has permanently entered the martial lexicon and now it’s everywhere. Palestinian politicians tend to view term limits as casual suggestions. This is especially true in the case of the two largest Palestinian parties: the nominally secular Fatah, which manages the Palestinian-controlled areas of the West Bank, and the Islamist terror group Hamas, which controls the Gaza Strip. Yet those two factions’ usual disdain for smooth political transitions seemed to wane in February, when Hamas elected a military commander, Yehya Sinwar, to serve as its next leader in Gaza, and the longtime apparatchik Mahmoud al-Aloul became Fatah’s first-ever vice president. The elevation of both men may signal a hard-line shift in Palestinian politics. For Mahmoud Abbas, the president of the Palestinian Authority (PA) and the head of Fatah, the appointment of Aloul as party vice president was a stroke of tactical genius. Abbas’ allies and rivals have hounded him for years about the need to appoint a deputy and to begin planning for a stable transition, but Abbas, who is 81 years old and fears emboldening his challengers, has long refused to do so. Instead, the president has spent much of his time in office consolidating his grip on power and pushing aside his rivals, ensuring that they have remained too weak or unpopular to threaten him. When rumors swirled that Fatah was splintering ahead of a party conference last November, for example, Abbas barred the dissenters from attending the meeting and used the group’s internal elections to purge his rivals. By naming the 66-year-old Aloul as Fatah’s vice president, Abbas has elevated a man who has the pedigree to eventually head the party but still lacks the influence to directly challenge his leadership. A longtime Fatah member and veteran of the party’s military wing, Aloul was responsible for the 1983 capture and ransom of six Israeli soldiers in Lebanon; in the 1990s, he served as a governor in the West Bank. If Japanese Prime Minister Abe Shinzo wakes up these days with an extra bounce in his step, it’s with good reason. He has overtaken Nakasone Yasuhiro to become the sixth longest serving prime minister in Japanese history, and he will soon pass Koizumi Junichiro, who set the standard in the post-Cold War era. The ruling Liberal Democratic Party (LDP) just agreed to revise party rules to extend the maximum presidential tenure to three consecutive three-year terms for a total of nine years. (The previous limit was two.) If Abe completes a full third term, he will become Japan’s longest serving prime minister ever. Changing the rules is a smart move. While in office, Abe built and cemented his party’s parliamentary majority, bringing stability to a political system that was marked by uncertainty and hobbled by ineffectual leaders. The economy has regained its footing, with growth on the upswing, unemployment shrinking, and business confidence surging. Abe has set the standard for a good working relationship with US President Donald Trump and reduced tensions (somewhat) with Beijing and Seoul (although neither relationship can be counted on to continue its current path untended). He has made good on his promise to secure Japan’s place among the first tier of nations and to make it a force to be reckoned with in international relations. Abe hopes that this new state of affairs is permanent, that his country’s trajectory is set, and that the 2020 Olympics – which he will attend as one of his last acts as prime minister – will constitute international confirmation of the emergence of a new Japan. Neither he, nor the rest of the world, can take that as given, however. The scandal concerning the conservative educational institution Moritomo Gakuen is an example of how quickly the political landscape can change. The controversy has dented Abe’s popularity, but it is unlikely to do much sustained damage to the prime minister. As the Greek economic crisis enters its seventh year, the difficulties standing in the way of its resolution continue to mount. At first glance, this is surprising. After all, Greece is a small country, representing just 2 percent of the European Union’s economy, and is home to just over 10 million of the bloc’s more than 500 million citizens. But it has played an outsize role in driving the political and economic uncertainty facing Europe today, and has in many ways taken the brunt of the fallout. Following France’s 1954 humiliation at the hands of the Viet Minh at Dien Bien Phu, U.S. President Dwight D. Eisenhower divined the phrase “domino effect” to suggest that the victory of communist guerrillas would lead to a cascade of parallel events elsewhere: “You have a row of dominos set up,” Eisenhower said. “You knock over the first one. … What will happen to the last one is the certainty that it will go over very quickly.” Ike’s idea caught on; the “domino” concept was applied to everything from the Cuban Revolution to the Prague Spring. Most recently, the prospect of a domino effect was a staple of discussions of the British referendum on EU membership. In this case, a first-mover (the United Kingdom) would trigger the implosion of the EU by daring to exit first. It would be swiftly followed by others eager to free themselves from the shackles of transnational regulators and their world-leading single market. This bulletin looks at the impact of China’s investments in Sri Lanka, which include assorted loans and the sale of the port in Hambantota to a Chinese firm. The bulletin’s author ultimately concludes that the investments aren’t boosting the local economy because the money isn’t staying in the country, which is a familiar way of doing business on Beijing’s part. In fact, it’s possible that Sri Lanka will have to be bailed out because of its crushing Chinese-owned debt. The author further argues that India must recalibrate its security strategy towards other South Asian countries if it hopes to respond effectively to China’s activities in the Indian Ocean. Space assets flying hundreds of miles above Earth provide critical and essential capabilities to war fighters below, and if taken away would severely hinder operations. As the Army develops concepts and doctrine for multi-domain battle, or seamless integration of operations across all the war-fighting domains, leaders have come to the realization that forces in future conflicts will be contested in every domain and will likely have to fight with some degraded capability. These space capabilities enable the Army to conduct intelligence, surveillance and reconnaissance missions; perform mission command; and shoot with precision, according to Richard DeFatta, acting director of the Future Warfare Center at Army Space and Missile Defense Command, who spoke at the AUSA Global Force Symposium in Huntsville, Alabama, on March 15. The Army’s space contribution to the joint fight includes globally deployed space forces that plan, coordinate, integrate and synchronize space capabilities to the war fighter, force tracking capabilities, theater missile warnings, space tracking, situational awareness, space superiority and military satellite communication, he said. Europe is now a petri dish for hybrid war. Events of the past decade, not to mention the last few years, have reaffirmed the value of a concept that sought to explain a range of diverse, coercive instruments across the operational spectrum of war. Hybrid warfare is a term that sought to capture the blurring and blending of previously separate categories of conflict. It uses a blend of military, economic, diplomatic, criminal, and informational means to achieve desired political goals. The Chairman of the Joint Chiefs of Staff, General Martin Dempsey, has referred to these hybrid threats as an “inflection point” in modern war. Indeed, in the disordered post-Cold War world, hybrid warfare remains an excellent framework for understanding the changing character of war. So why, at a recent off-the-record Washington gathering of Baltic and Central Europeans concerned about Russia (it was not hard to fill the room) did a high-ranking Estonian with substantial experience working on Russian issues express his frustration with the concept? Indeed, why do many Estonians, as well as their Baltic neighbors and even some Poles, Swedes and Finns, dislike the phrase? These concerns are worth considering, particularly since Estonia and its neighbors are the prime targets of this form of warfare. There are two apparent reasons for their concern. First, many in the Baltic region view the concept as merely another mechanism by which the West can avoid decisive action against Russia, particularly because NATO has not developed, really, an operational concept to address hybrid threats. The concept, according to this Estonian official, allows NATO to avoid action because a range of activities – from the aggressive use of disinformation by Moscow, to economic pressure, to bribery and threats, to use of “locals” to stir up protests – become conveniently categorized as being under the threshold of war. Indeed as one expert, James Sherr, has observed, in the hands of Russia hybrid warfare could “cripple a state before that state even realizes the conflict had begun,” and yet it manages to “slip under NATO’s threshold of perception and reaction.” Sherr is right. There have been many National Security Strategy (NSS) development efforts over the past decades. But it appears we have not had a traditional, thorough, objective national strategy review and update since 9/11. As taught in our military education system, force structure determination must begin with a review of the NSS. The last two NSS products were issued by the Obama Administration in 2010 and 2015. The 2010 strategy was cited as a significant departure from previous strategies, with one point being the elimination of reference to Islamic radicalism. The NSS serves as the basis for the National Military Strategy (NMS), the base document for the strategic aims of the services. The NMS is required by law to be developed not later than 15 Feb of each even numbered year. It is developed by the Chairman, Joint Chiefs of Staff. The Quadrennial Defense Review (QDR) is one of the key documents enabling the development of an informed NMS. The QDR directs the Department of Defense to undertake a wide-ranging review of strategy, programs, and resources. Specifically, the QDR is expected to delineate a national defense strategy consistent with the most recent NSS by defining force structure, modernization plans, and a budget plan allowing the military to successfully execute the full range of missions within that strategy. The NMS describes the ends, ways, and means required to meet the strategy. Significant risks identified in the NMS lead to a force structure reassessment required to address the risks. At a given point in time within the NMS, we cannot determine how many uniformed service members we will require, what types of weapon systems we will need, or the level of funding required to finance both until we have an updated and realistic military strategy. Considering the election of a new administration, the time is right for a complete review and update of our NSS, particularly given the next scheduled QDR in 2018. Cyber attackers continue to evolve, improving their tactics, techniques and procedures faster than security teams can keep up. Increasingly organized and collaborative, their methods grow more sophisticated each year – and 2016 was no exception. New phishing trends breaching today’s companies. Changes in modern attack telemetry and methodology. Intelligence-led insights into emerging global threats. Modern defensive strategies to better protect your organization. Special features spotlight trends in the EMEA and APAC regions. Take a firsthand look inside current and emerging global threats from the front lines of today’s leading forensic investigations. 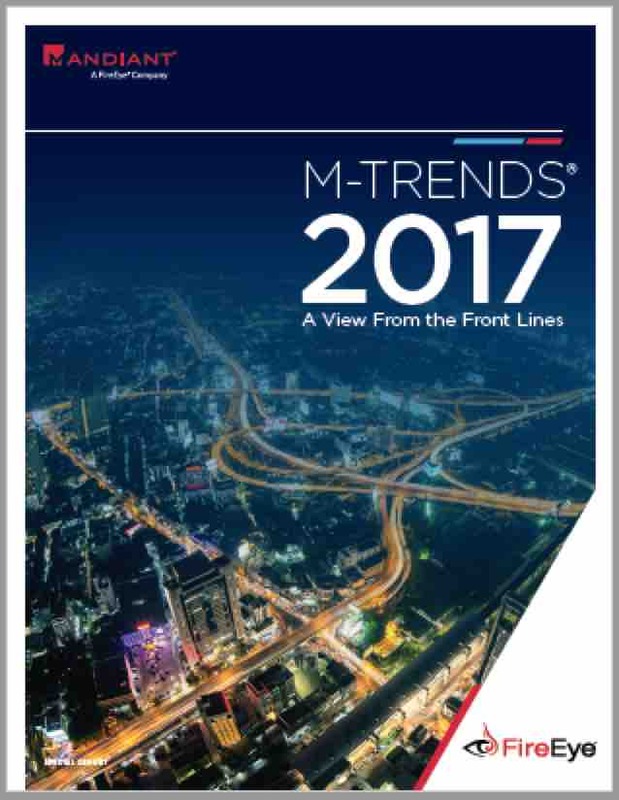 M-Trends combines investigative insights with outward-looking adversary intelligence for a fact-based, proactive approach to advancing your cyber security. On March 10, the Center for a New American Security -- a Washington think tank -- released the latest installment in a long-running debate about how to assure U.S. access to space. The report, authored by science writer Robert Zimmerman, is titled "Capitalism in Space," and it proposes a wholesale restructuring of government space programs that Zimmerman frankly admits might eliminate much of NASA. His thesis is that private enterprise and competition can do a better job of delivering low-cost, reliable access to space than government agencies. If NASA or the Air Force require a service they should request it from the private market, becoming a customer like everyone else. This will result in increased competition and performance at a lower cost. Private Enterprise and Competition Reshape the Global Aerospace Launch Industry. It is essential for any nation that wishes to thrive and compete on the world stage to have a successful and flourishing aerospace industry, centered on the capability of putting humans and payloads into space affordably and frequently. This is a bipartisan position held by elected officials from both American political parties since the Soviet launch of the Sputnik satellite in 1957. Military strength: For strategic reasons, the military must have the capability of launching satellites into orbit for the purpose of surveillance and reconnaissance. In addition, the country’s missile technology must be state-of-the-art to make this data gathering as effective as possible. A healthy aerospace industry is the only way to achieve both. Natural resources: The resources in space – raw materials from asteroids and the planets as well as energy from the Sun – are there for the taking. Other nations are striving to obtain those resources and the wealth those assets will provide for their citizens. Without direct access to those resources, American society will have less opportunity for growth and prosperity, and the country will eventually fall behind as a major power. Economic growth: A thriving aerospace industry helps fuel the U.S. economy. It develops cutting-edge technology in fields such as computer design, materials research, and miniaturization that drives innovation and invention in every other field.